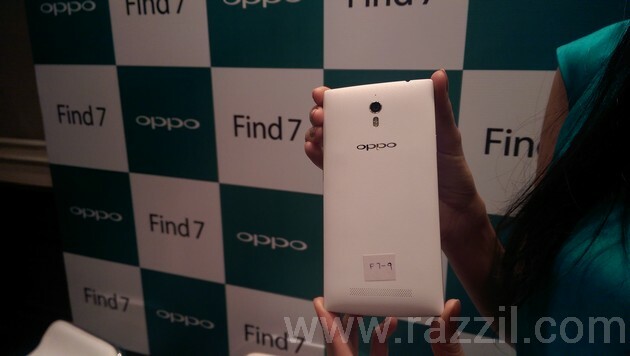 OPPO India has launched their next flagship Smartphone Find 7 and Find 7a in India. 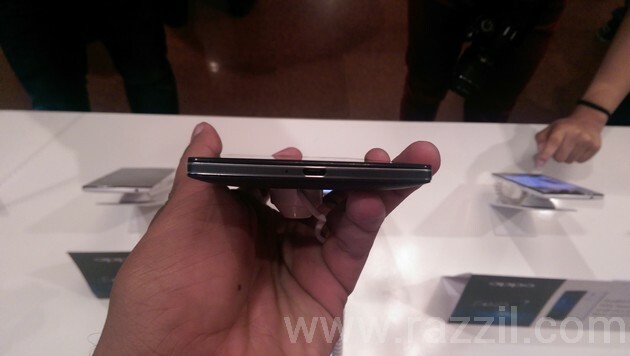 The Find 7 is the successor of Find series. With this launch, Oppo Find 7 becomes first 4G/LTE compatible Smartphone in India that sports a 5.5-inch Quad HD Screen with 2560 x 1440 resolution and 538 PPI display. The Find 7 has 2.5 GHz Qualcomm Snapdragon 801 Quad Core processor with Adreno 330 GPU, 3 GB of RAM, 32 GB Internal Storage with expandable up to 128 GB micro SD card and 3000 mAh Battery. 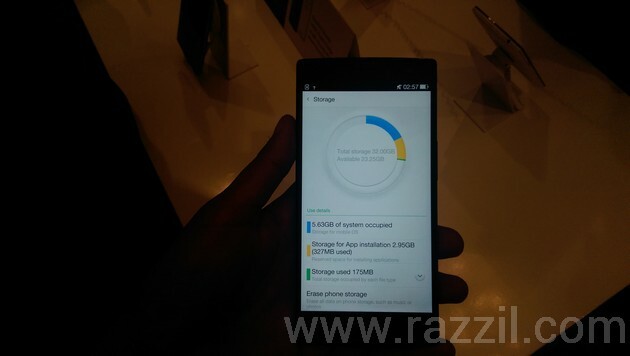 OPPO Find 7a has almost same specs with just a minor difference like a 2.3 GHz processor instead of 2.5, 2 GB of RAM, 16 GB Internal Storage, Full HD display and 2800 mAh Battery. 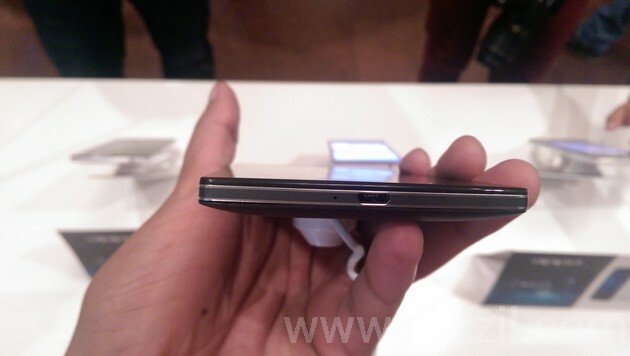 Here is my First Impression with Both Find 7 and Find 7a at the launch event. This is not final review, it’s just my first experience with the devices. The OPPO Find 7 and Find 7a body frame is made of the Titanium Aluminum alloy which not only give strength, but also it is very good in heat dispersion. You won’t feel any heat when playing game of other heavy work. Despite the large size, the phone fits well in your palm and back won’t feel like ordinary glossy plastic. The phone is available in two colors: Black and White. Black phone has 3D Weave texture and White phone has Diamond texture. I personally feel that white one looks much better in both look and feel. At bottom of the phone, you’ll find Skyline Breathing Lights. The Skyline lights will glow when you receive any notifications. 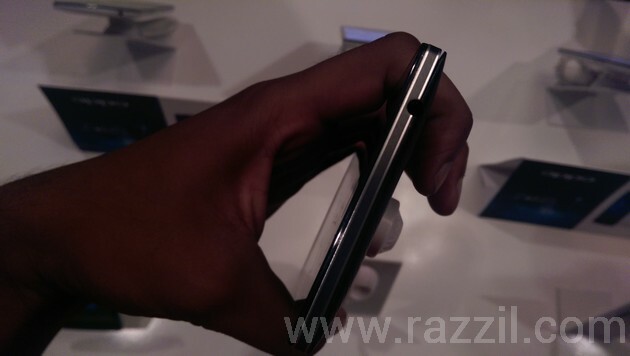 The Company also improved the front glass with TOL one glass integrative binding technology. Together with Corning Gorilla Glass 3, the phones display are safe from scratches and also improves the body strength by 40%. 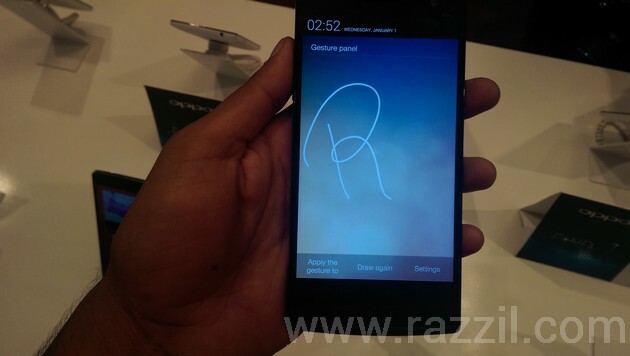 Overall from the Design point of view the phones have premium feel and some good tweaks makes it really useful. 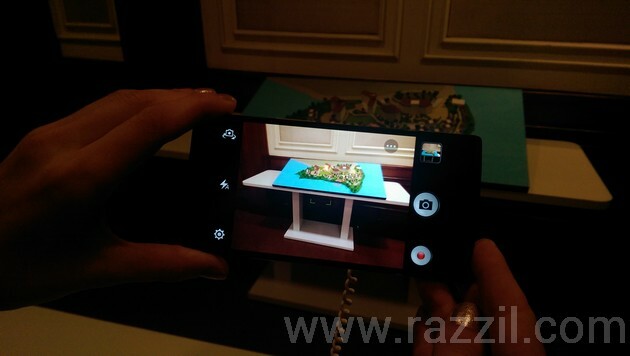 The OPPO Find 7 has 5.5-inch Display with 2560 x 1440 resolution and 538 PPI while Find 7a has only 5.5-inch 1080p Full HD Display with 1920×1080 resolution and 403 PPI. Both have IPS panel and the touchscreen can be operated with gloved or wet hands. The screen is very sensitive to your touch input. Front panel has invisible buttons which glow only when you use it otherwise whole front side looks like single glass. Frankly speaking, I was unable to find any difference between 2K Display in Find 7 and Full HD Display in Find 7a. Under the hood, OPPO Find 7 equipped with 2.5 Qualcomm Snapdragon 801 Quad-core processor mated with Adreno 330 GPU and 3 GB of RAM. 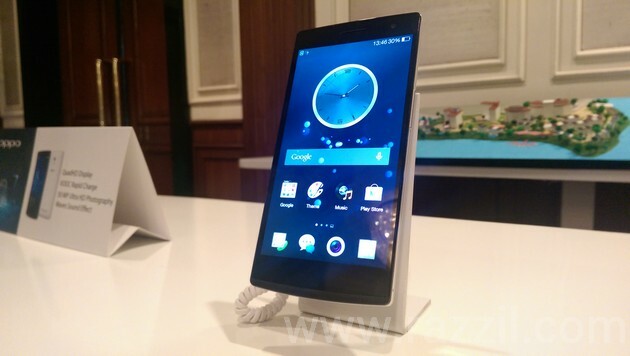 OPPO Find 7a has 2.3 GHz Qualcomm Snapdragon 801 Quad Core processor mated with Adreno 330 GPU and 2 GB of RAM. In performance, the Smartphones no doubt packs with powerful processor which is not only deliver optimum performance, but also reduced the power consumption by up to 20%. 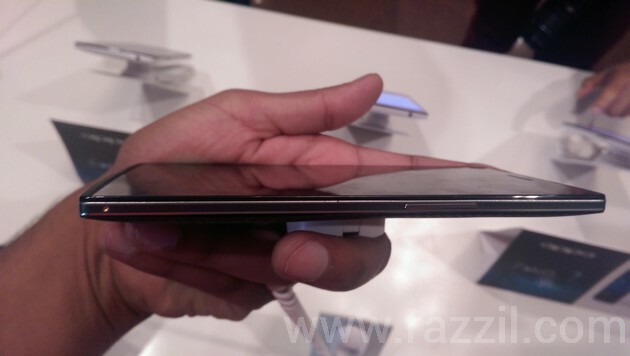 The company also enables 4G LTE chip of Snapdragon 801 with Indian networks. 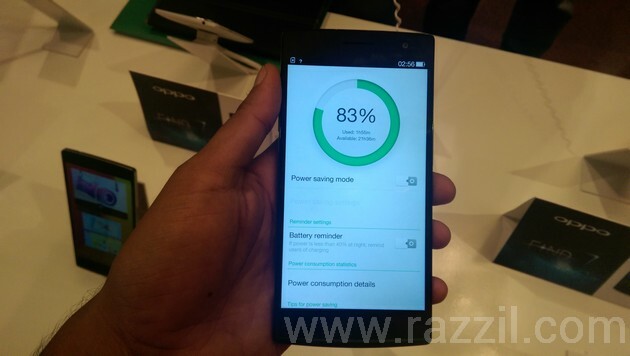 OPPO did test with the Airtel 4G. During my test, i found no lag in the phone. The company did a great job in optimizing software with hardware. OPPO Find 7 and Find 7a loaded with VOOC Flash Charge Technology. Find 7 has 3000 mAh and Find 7a has a 2800 mAh battery together with customized circuits, battery cells, 7 pin USB port, data cable and a smart adapter. The VOOC will automatically adjust charging current and voltage when the phone is connected. The Adapter will increase the charging speed by 400%, which charge the 75% of phone in just 30 min, 5 mins charge lets you make calls for 2 hours and complete charge will take 1 hour. Fast Charging always raise the safety concern with phone, but Find 7 series have built-in 5 layer of protection. The Optimized circuit will reduce the temperature of phone when puts on charging. 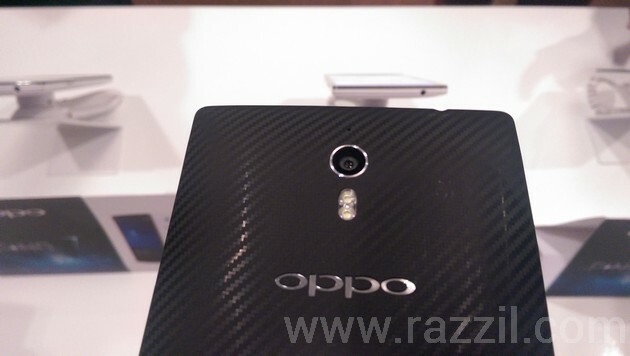 Both OPPO Find 7 and Find 7a features 13 MP rear cameras and 5 MP front facing camera. The phones have Sony IMX214 – the second generation of stacked sensor with powerful graphic capabilities. Super Zoom: The mode will automatically turn on Super Zoom mode and capture more details and enlarge the long-distance scenes to maintain the resolution. Hence, you won’t get blurry pics. Ultra HD Picture: With Pure Image 2.0 technology, the camera will combine ten consecutive pictures into a 50 MP ultra-HD picture. Slow Shutter: You can capture light trail pictures, thanks to 32 sec exposure time. HD Photos for Night: With the smart noise-reduction algorithm, you can capture good quality image with less noise and high definition even in the dark. With 13 MP Camera, you can record 4K video @ 30 fps, 1080p video @ 60 fps and 720p slow motion video @ 120 fps. Both phones are powered by Color OS 1.2 based on Android 4.3 Jelly Bean OS and can be upgraded to Color OS 2.0 in June. The Color OS is slightly different from stock Android and you’ll find various tweaks which makes the life easy for users. It also features gesture controls and when you operate the phone from the left hand, you can dropdown the notification and use gesture to launch various apps. 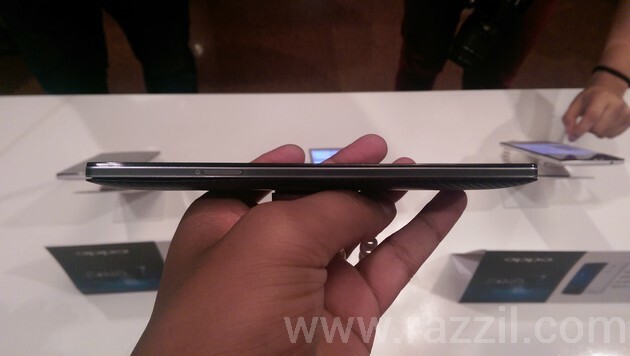 The OPPO Find 7 will cost you ₹ 37,990 and sales starts from next month. 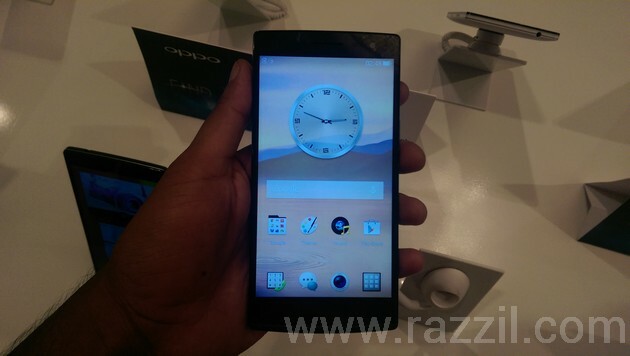 The OPPO Find 7a will cost you ₹ 31,990 and the phone is already available in the market. OPPO do not provide after sales service on the phone that are purchased from Ecommerce sites in India. We recommend you to buy a phone from the Official offline retailer. Both phones have solid build quality, camera and fast charging feature will surely help many. But my only concern is with software department. Color OS is good, but the OS is already 2 versions behind. The Company confirmed that they’re working on latest Android version, but no deadlines when the update will arrive. To me Find 7a looks much better deals than Find 7. The only difference between the two phones is memory, display and battery capacity. I believe 2 GB RAM, Full HD Display, 16 GB Internal Memory and 2800 mAh battery is enough for anyone.